A new player in the international real estate market announced last week that it had raised $15 million from backers by selling virtual currency tokens, with a goal to simplify the way people invest in foreign properties. 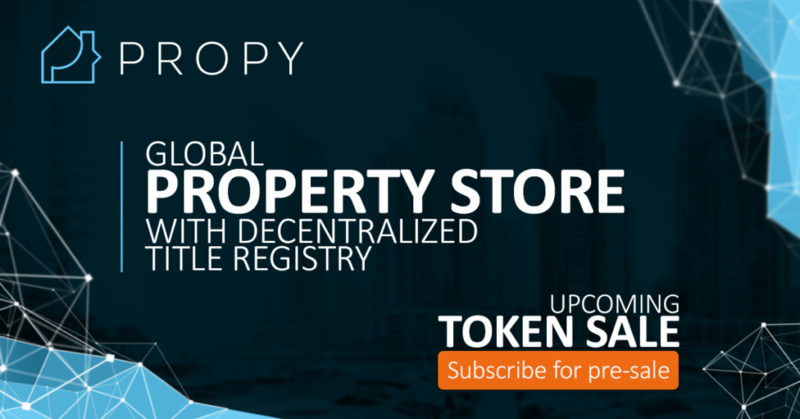 Propy, a global property startup that launched in 2016, aims to leverage the power of the Ethereum blockchain to create an Amazon-like marketplace. Ethereum is a cryptocurrency rival to the better-known Bitcoin, though Ethereum itself has become a huge market in recent years. In addition to the $15 million in funding, Propy also announced agreements with the government of Ukraine and Chinese real estate company Leju Holdings Limited. The agreements will allow international buyers to purchase public lands in Ukraine and private properties in China through Propy, according to the startup’s statement. We’ve reached out to the Ukrainian embassy and Leju Holdings to verify their involvement with Propy, and are awaiting responses. Running with new technologies can come with risks and perhaps even strange bedfellows. First of all: what’s a blockchain and how is it going to change how international real estate works? It’s a digital technology standard that powers digital currencies like Bitcoin and Ethereum. Simply put, it’s a way to agree on and trust a huge collection of information. Imagine a ledger with infinite lines, which could never be changed or modified. That’s why a Bitcoin can hold value, because there’s an underlying decentralized system that millions of computers agree upon. For example, no single party can claim they own currency without going through the mathematical process that verifies across the entire system. Having gone live in 2015, Ethereum not only uses blockchain technology for verification, it added the ability to leverage computer programming language to perform specific tasks based on the immutable information in its blockchain. This has culminated in a system called smart contracts, which Propy takes advantage of. These conditions can’t be changed as they are encoded into the blockchain, and will only proceed with the pre-set outcome when they are fulfilled. It takes the burden of trust from potentially fallible people and puts it in a machine. “The culmination of the deal is the ownership transfer. 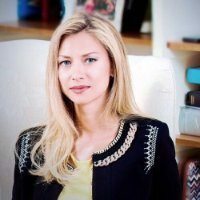 So, when we transfer on a reliable technology as blockchain, then we finally can make the entire process automated for the first time in the industry,” said Karayneva. Another system, enabled by Ethereum, is the initial coin offering, more commonly known as the ICO. This new funding opportunity has emerged in recent years thanks to cryptocurrencies, allowing people to invest in a company or fund by purchasing custom coins or tokens based on the Ethereum blockchain. Propy offered PRO (Propy) tokens at one dollar a piece, and so far, 6,597 people purchased around $15 million worth. But not all ICOs are created equal. The U.S. Securities and Exchange Commission has flagged some previous ICOs as ‘pump and dump’ scams. Before jumping into purchasing parts of the next big Ethereum company, do your due diligence. Other experts believe that new technologies like blockchain may be useful for facilitating international real estate transactions, but that their success depends on implementation. “While the newest technologies can be put to excellent use in the global market, they need to be customized and deployed with a true understanding of how the market works for the professionals on the ground, and how to best support them with their unique challenges and needs,” she told Inman in an email. Immobel has been using a similar, proprietary technology “for our global referral network, creating an uneditable chain of archived actions and documents for referrals,” said Choynowski. It allows Immobel to create a platform that operates in 18 different languages. “They can pull up-to-the-minute reports on open and closed business including countries of origin, value and destination countries for their global transactions. This sort of granular and proprietary intelligence can be used to drive marketing or even franchise sales,” she said. Another offshoot of the decentralized currency community is running into some interesting characters. Earlier this June, Karayneva appeared alongside Propy advisor and TechCrunch founder Michael Arrington in a photograph with the “President” of Liberland on Liberland’s Facebook page. Liberland is an attempt to create a libertarian nation state on an island that the participants of Liberland see as terra nullius — no man’s land — off the coast of Croatia. The upstart nation was recently in the news after its settlers were arrested by Croatian authorities who disagreed with their newfound sovereignty.